“I want to study MBBS in abroad but I can’t afford much”. If this is the problem you are facing with, then MBBS in Kyrgyzstan is the best solution to complete your MBBS abroad at low cost. 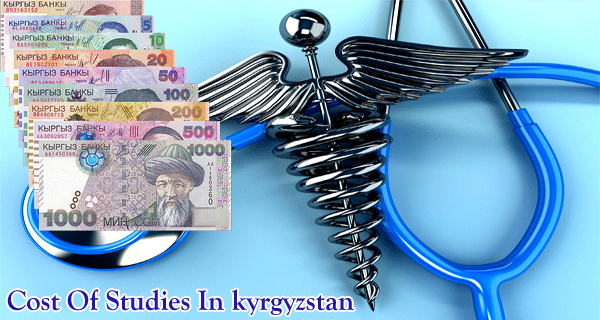 Indian students can find lowest cost medical programs in Kyrgyzstan. It costs below 12 lakhs to study MBBS in Kyrgyzstan including the hotel accommodation, college fee, etc. There are many MCI recognised medical colleges in Kyrgyzstan which are well known for high standard medical education. However, along with Russia, Kyrgyzstan also offers best medical education to foreign students. Many of the students from all over the world are looking to get admit in Top medical colleges in Kyrgyzstan like Kyrgyz-Russian Slavic University, Kyrgyzstan State Medical Academy, Altai State Medical University, etc. Kyrgyzstan provides the affordable cost of education and accommodation/housing for international students. 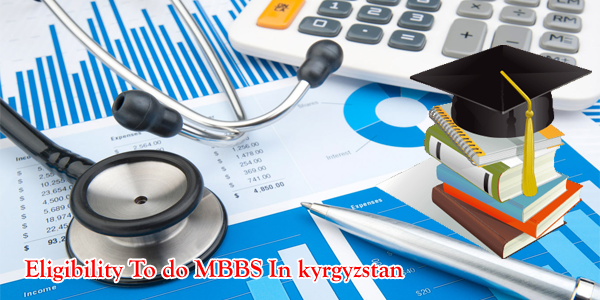 So, if you want to get the best education from abroad with low cost, you can choose MBBS in Kyrgyzstan. To do Medicine in Kyrgyzstan, we need some details like Fee structure, Universities in Kyrgyzstan, About Kyrgyzstan, Application process, Advantages, Eligibility, Facilities, etc. Why Only MBBS in Kyrgyzstan? If you want to do Medicine in Abroad, Kyrgyzstan is one of the best options because of the following reasons. There will be very high standard education in an inductive environment. Less cost of education when compared to the other countries i.e., there is no need to pay heavy donations. Also, in medical preparations, there is no need to waste your valuable years. You can get MCI approved MBBS education in Kyrgyzstan. The living cost and tuition fee is also reasonable here. After graduation, you are able to work in any of the leading countries like Japan, USA, India, and Pakistan. So, it is one of the best options to study MBBS abroad. On studying MBBS in Kyrgyzstan, you can easily get settled in European countries. In this country, most of the MBBS Universities in Kyrgyzstan provide the Students with comfortable hostels. This reduces the cost of living for Indian students to a great extent. Also, after coming back to India from Kyrgyzstan, the result of students in MCI Screening Test is equally balanced with countries such as Ukraine and Russia. These are some solid reasons which make you take a strong decision over MBBS in Kyrgyzstan. So, In short, I want to say that, if you want to do very high standard medicine in abroad at very low cost then you need to choose the Kyrgyzstan as the best option. Kyrgyzstan is a Central Asian country which is bordered by Kazakhstan to the north, Tajikistan to the south-west, Uzbekistan to the west and south-west, and China to the east. 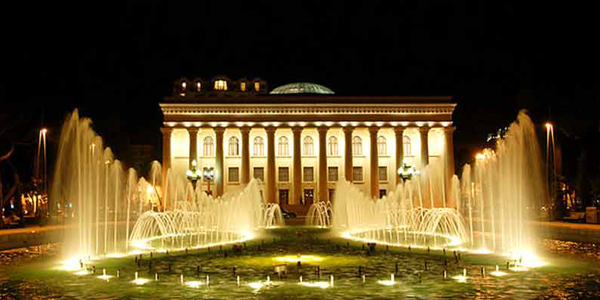 The capital and largest city of Kyrgyzstan is Bishkek. It encompasses a variety of cultures and empires and it’s recorded history spans over 2,000 years. 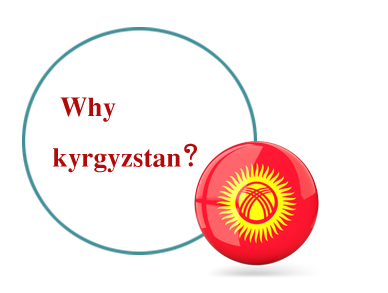 The official languages of this country are Kyrgyz (national) and Russian (official). As on 2016, the estimated population is 6,019,480. Non-denominational Muslims are the major population in this country. The currency of Kyrgyzstan is Som (KGS). 1 Some are equal to 0.95 Indian Rupees. It takes only 3 hours to go to Kyrgyzstan from Delhi by flight. So if you wish to study in a nearby country you can choose to do MBBS in Kyrgyzstan. In the 1st year, students are taught Russian and Kyrgyz languages while the in-class medium of education is English only. Also, some colleges provide English classes for the students who are weak in that language. The country is mostly covered in mountains. This is the reason why the weather goes around -5 to -10 degrees C during winters whereas it is around 25 degrees C in Summers. Also, because of its natural beauty, this country is also known as ‘The Switzerland of Asia’. There are many tourist places in Kyrgyzstan they are as follows. 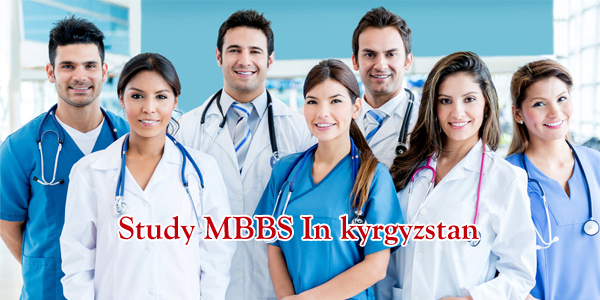 You may have doubt that whether you are eligible to get the Admissions in Kyrgyzstan Medical University or not. So, we have clearly explained about education qualification required to pursue Medical Education in Kyrgyzstan. In India, there are a huge number of Indians who have the lower academics. But, still, for those students can also apply for admissions in Medicine in Kyrgyzstan. You just need to score 50% marks in the major subjects like Physics, Biology, and Chemistry. Along with that, you need to attain 15 years of age. You must have a valid passport along with good English knowledge. Along with the good Medical Education, all best facilities are given to the Medical students who are pursuing their MBBS degree in Kyrgyzstan and another Medical course. The accommodation is very cheap but they meet the European standards. All the Medical Hostels in Kyrgyzstan are provided with the secured environment with high-security systems. The Hostel rooms are provided with the basic facilities like Air conditioner, Heater, Water supply and hygiene food. .The cost of living is very low when compared to other European countries as the students are given special concessions. Not only the education but also extracurricular activities are included in their academics. The Universities will organise the cultural festivals every year in Kyrgyzstan Medical Universities. Even the students from abroad can participate in these festivals. So that the students from other countries can make friends and understand the Kyrgyzstan cultures easily. Moreover, students can find the following centre inside the campus. Students who want to study MBBS in an MCI recognised college need to check the list of Top Medical colleges in Kyrgyzstan. Among the central Asian countries, Kyrgyzstan has plenty of Medical colleges which offer the Medical courses in various fields. 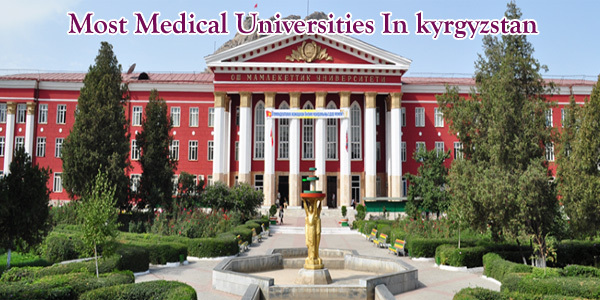 The Kyrgyzstan medical universities are recognised by the major organisation like MCI, UNESCO and WHO. Here are some of the Top Medical Colleges in Kyrgyzstan for which you can apply for Admission to join the MBBS course. International School of Medicine Kyrgyzstan. Osh State Medical University, Osh. When compared to any other foreign country Kyrgyzstan is the most affordable country to study MBBS. Even the student with low academics can also study MBBS course in Kyrgyzstan. The tuition fee and accommodation charges are also so cheap. Even the Medical fee is low the standard of Education is so high. Therefore, many students from Indian are willing to do MBBS in Kyrgyzstan. Before you apply for the admission you need to consider some of the factors to estimate the total Budget. But, the fee structure will vary from university to university. The factors include Tuition fee, Hostel Accommodation and Travelling costs. However, for any university in the Kyrgyzstan, the fee structure ranges as below. College Fee: around Rs. 12 to 15 Lacs along with accommodation. 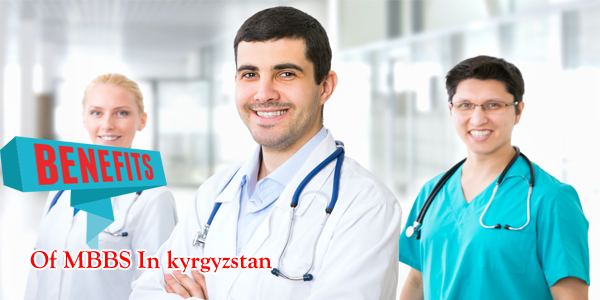 Kyrgyzstan is a country where every year lakhs of International students join MBBS in Kyrgyzstan. So, let’s discuss the advantages of pursuing Medicine in Kyrgyzstan. You can attend the major exam like USMLE, PLAB as all the Medical Universities in Kyrgyzstan are recognised by the World health Organisations(WHO). Accommodation and the cost of living are economical for all the international students. The MD degree from any MBBS university in Kyrgyzstan are accepted all over the world. As the medium of Instruction is English it is very easy to understand the subjects. No Donation for the Indian Students. No entrance exam to join MBBS. Indian food is available at Hostel and also in canteens. Medical Council of India Recognised. World class education on par with the European standards. Cheap and Best MBBS in abroad. So, to get all these above benefits apply for the Admission in MBBS in Kyrgyzstan. The process to get admission for MBBS in Kyrgyzstan is very easy. To apply for the MBBS in Kyrgyzstan, the candidate needs to pass 10+2. The last two years (11th, 12th class) should be regarding Biology, Physics, and Chemistry. The other eligibility details are mentioned above. So, you can check the eligibility and follow the below Admission process to study MBBS in Kyrgyzstan. First of all, Select the MBBS program and the college/university which you want to apply for or admit for. Get the application form from those selected colleges or universities. Fill the application form and submit the same to the university along with required documents such as 10th, 12th Pass Certificates, School leaving certificate, etc. If you are selected, you will be informed by mail. After getting the confirmation or admission letter, apply for Visa. Moreover, once your VISA confirmed means you can pay the Tuition fees to your admitted college or university. Finally, pack your luggage and go for study MBBS in Kyrgyzstan.